BlackBerry was once infamous for letting slip specs of its upcoming mobile handsets but while the company quietly went back to the drawing board we have to say we’ve actually kind of missed those leaks. But not to disappoint, the Canadian co., formerly known as RIM, is having another bash at the smartphone market with the help of Android and has released loads of details about their next flagship model even before it’s officially been announced! The ‘Fully Android’ BlackBerry Neon – released as DTEK50. The DTEK60 is set to be a larger and more powerful flagship model. The model in question is the BlackBerry Argon – a ‘Fully Android’ smartphone, now referred to in official specs and believed to be sold as DTEK60. Along with Google’s mobile operating system and access to the Google Play Store and its millions of apps, the DTEK60 will include Qualcomm Snapdragon 820 64-bit quad-core (MSM8996 with quad-core 2+2 Kryo 2.15GHz/1.5GHz), Adreno 405 550MHz GPU with a 5.5-inch Quad HD all-touch screen with intuitive gesture based navigation – no, it doesn’t feature a physical keyboard but does include BlackBerry’s signature Convenience Key. As for memory and storage, BlackBerry tells us the DTEK60 will come with 4GB of RAM with 32GB of internal storage expandable to an impressive 2TB via MicroSD slot. The former Argon will also include 21-megapixel main camera, 8-megapixel front facing camera, with USB Type-C connection and 3,000mAh battery. We think you’ll agree it sounds like a really quite fantastic smartphone with a lot of great Android features packed in. 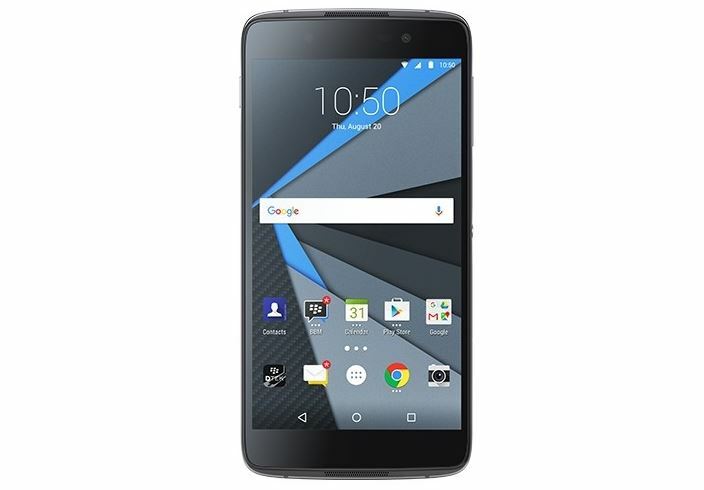 Price will of course be a deciding factor as to how well the BlackBerry DTEK60 will fit into the Android marketplace alongside the likes of Samsung and HTC.